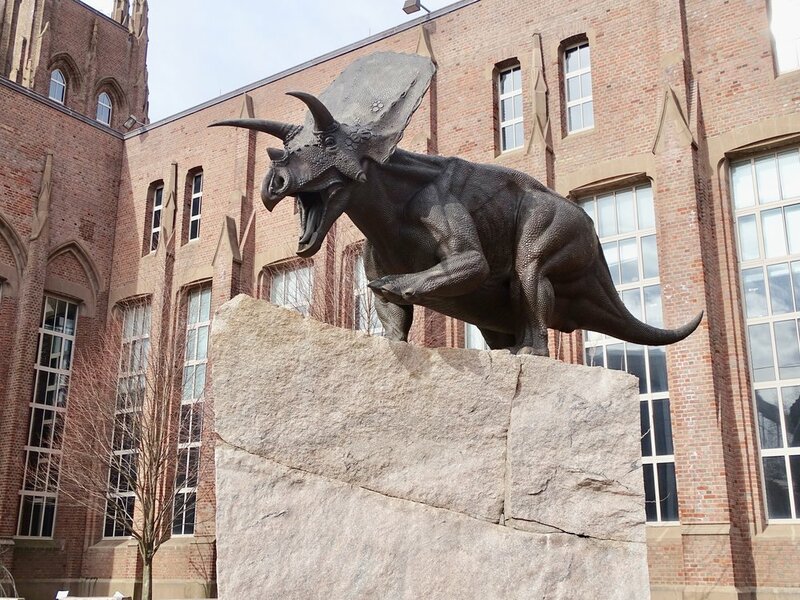 Founded in 1866, the Yale Peabody Museum of Natural History moved to its current location in 1925 and is about to undergo a massive renovation. Expected to double in size, the museum will close in early 2020 for a couple of years- read more about the project here. The ten scientific collections open to the public visually tell the story of many elements of planet Earth, and offer many hands on programs, speakers, and family focused fun. The museum is located in downtown New Haven. There is limited, metered street parking with a two hour limit (free on Sundays). A better bet is the parking lot at 221 Whitney Avenue (a short walk) which has reasonable weekday rates and free parking on the weekends. Restrooms, an (unattended) area to hang coats, and museum gift shop are all located next to the admission desk. There is audio tour option, just over an hour long. Check here for more information. The entire museum is handicap accessible with outdoor ramps and indoor elevator. Strollers aren’t necessary; most toddlers will love running through the long, open halls. Thursday afternoons are “pay as you wish” admissions. Check here for other discounts and promotions. Plan to spend 90-120 minutes exploring the museum, more when special events and “show and tell” programs happen. Teenager volunteers conduct inquiry based workshops, show and tell segments, and man touch tables every weekend (and daily during summer) for children. Look for them throughout the exhibit halls. They are knowledgeable, engaging, and friendly. Check here for more information. 1. The Torosaurus Lotus statue outside the museum. It’s a horned dinosaur that lived 65 million years ago and stands 25 feet long. Follow dinosaur tracks to the entrance of the museum. 2. 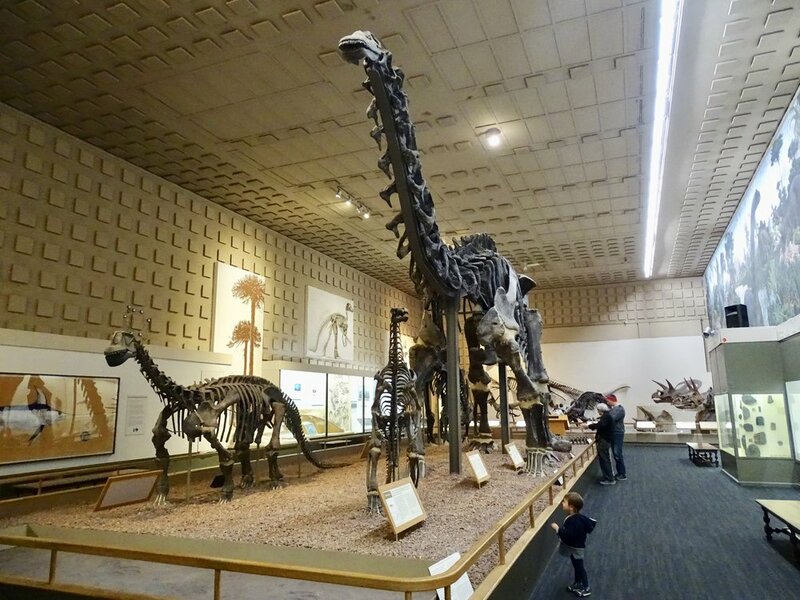 Great Dinosaur Hall- the THE spot for dinosaur fossils. There are over a dozen real fossils on display and some of them are GIANT. There are placards and touch screen which provide more information about each species. There’s also a massive Age of Reptiles mural on one entire wall that took Pulitzer Prize winner muralist Rudolph F. Zallinger almost five years to complete. 3. Teaching with the Collection, which displays collections of Florida Tree Snails (they look like shells), beetles, African Swallowtail butterflies, Red Pandas and platypus. 4. The wall of Leaf Cutter ants (thousands and thousands of them march through clear tubing carrying leaves) in the Discovery Room. 5. Hands on experiments, such as matching the bark with the right tree found throughout Connecticut (there are five different choices) in the Discovery Room. There are also a variety of cabinet drawers filled with samples of sea creatures and shells that visitors can touch. 6. Testing your geography and geology by lighting up different parts of a massive globe. 7. Comparing your size to the giant quartz from Brazil in the David Friend Hall. Pick your favorite mineral from amongst dozens of minerals on display, from “thumbnail specimens” to five foot tell minerals. 8. Learning about various animals in the nine North American Dioramas. 9. 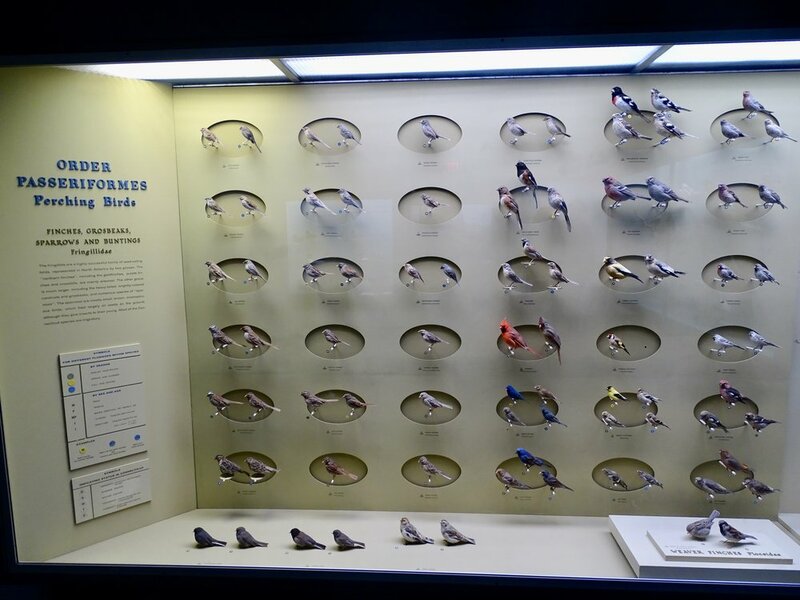 Researching different features and species of hundreds of birds in the Hall of Connecticut Birds. 10. Seeing artifacts and displays depicting daily life from various Egyptian Dynasties thousands of years old. Check out the tomb of Vizier Nespakashuty from 650 BC tucked in the back. Eating Locally: Spend some time walking around the Yale Campus and New Haven Green area. There are dozens of restaurants. We love Claire’s Corner Copia for vegetarian, vegan, and gluten free dishes and Arethusa Farm for ice cream. Disclosure: My family was given a media pass to visit the museum. All opinions expressed are my own.